If you have a practice of less than 25 employees, you maybe qualified for health insurance credit. For tax years beginning after Dec. 31, 2009, an eligible small employer (ESE) may claim a tax credit for non-elective contributions to purchase health insurance for its employees. An ESE is an employer with no more than 25 full-time equivalent employees (FTEs) employed during its tax year, and whose employees have annual full-time equivalent wages that average no more than $50,000. However, the full credit is available only to an employer with 10 or fewer FTEs and whose employees have average annual full-time equivalent wages from the employer of not more than $25,000. If you are still in residency, you do not qualify for FICA student exception. Under the so-called student exception, FICA doesn’t apply to students’ work for a college if they are regularly enrolled in and attending classes at the college. The Supreme Court has upheld the validity of IRS regulations that generally prevent medical residents from qualifying for the FICA student exception. Under these regulations, an employee for FICA purposes includes a medical resident who works 40 hours or more per week for a school, college or university. 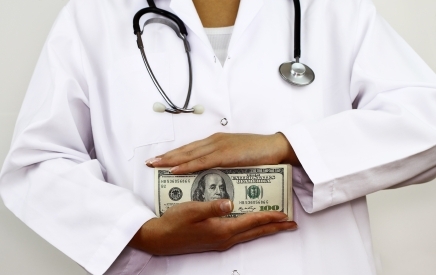 If your practice pays taxes, be aware of this. Beginning Jan. 1, 2011, employers must use EFT to make all federal tax deposits (such as deposits of employment tax, excise tax, and corporate income tax). Forms 8109 and 8109-B, Federal Tax Deposit Coupon, cannot be used after Dec. 31, 2010. If you just bought an expensive house last year, there is some good news. In new guidance on rules for deducting qualified residence interest, the IRS has determined that acquisition debt incurred by a taxpayer to buy, build, or substantially improve a qualified residence can also qualify as home equity debt to the extent it exceeds $1 million. As a result, a taxpayer can deduct up to $1.1 million of the debt securing the purchase of his principal residence. If your practice purchased fixed assets after September 8, 2010, be aware of this bonus depreciation. You can now write off in full qualifying property that a business has placed in service after that time and before January 1, 2012. This was achieved by increasing the 50% bonus depreciation to 100% for assets acquired and placed in service during that period. If your practice hired someone who has been unemployed for at least 60 days before year end, be aware of this payroll tax exemption. More specifically, your practice will be exempt from paying the employer’s 6.2% share of the Social Security payroll tax for the remainder of 2010. If you keep the new hire on payroll for a continuous 52 weeks, your practice will be eligible for a nonrefundable tax credit of up to $1000. If you start a new practice in 2010, you may deduct up to $10,000 (up from $5000 in 2009) in start-up and organization expenses. Get The Investment Fiduciary monthly newsletter.